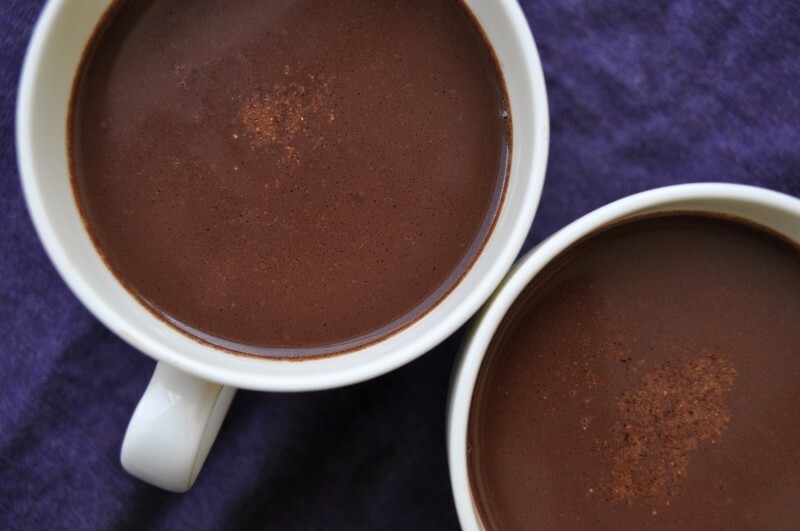 Let chocolate take the lead in a cup of hot chocolate. With less milk, fat and creaminess, the chocolate is truly the star in a cup of Rich Hot Chocolate. 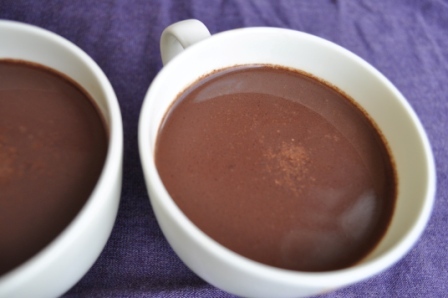 Rich Hot Chocolate is a simple recipe for the chocolate lover and can be prepared in minutes. This drink is a dessert in itself. Rich Hot Chocolate brings a smile after each sip. Make this decadence in a cup today. Place chocolate in a small saucepan over an oven range. Do not turn on the heat. 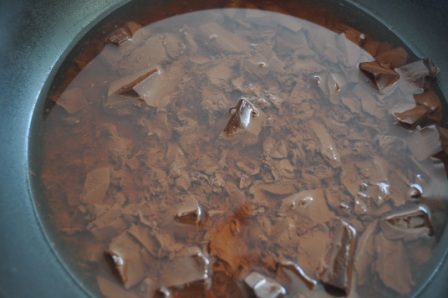 Pour ¾ cup boiling water over the chocolate and stir until chocolate is melted and smooth. 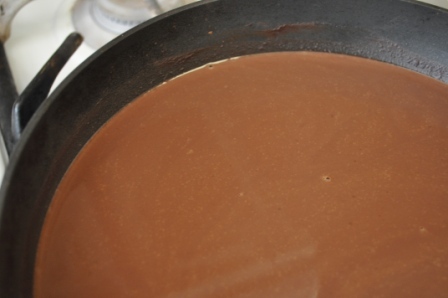 Stir in the remaining boiling water and milk over the chocolate mixture. Turn on the oven to medium heat and whisk the chocolate mixture continuously until hot but not boiling. If you do not have a whisk, use a fork. The hot chocolate should be served immediately; or set aside and re-heated. Just be sure to whisk it again over medium heat. To serve, ladle the hot chocolate into a cup. Optional: sprinkle a pinch of nutmeg onto the top of each cup. Notes: If you prefer to make your Rich Hot Chocolate creamier, add a dollop of whipped cream on top of each cup of hot chocolate (not stirred in). 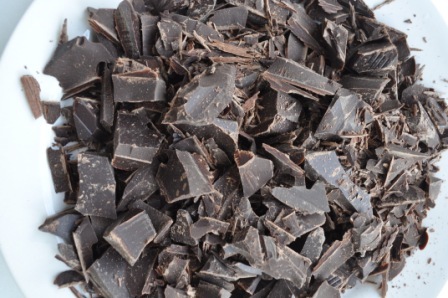 Ingredient recommendation: use 72% dark chocolate. Nutrition Note: The nutrition information above is based on the use of 1% milk.